Everywhere you go, you find potatoes today, from the Siberia to South Africa. It is hard to imagine not just basic ma and pa food, but fast food without potatoes. Once upon a time, though, they were not everywhere nor so basic to everyone. We know potatoes as a crop originated in South America, but if you look closely, you realize that statement is like a prosecuting attorney in a trial who goes on and on with only circumstantial evidence. The circumstances are historical. There were no potatoes the rest of the world until Columbus came to America. There is evidence for how important potatoes were for the Incas and the pre-Inca Tiwanaku civilization. 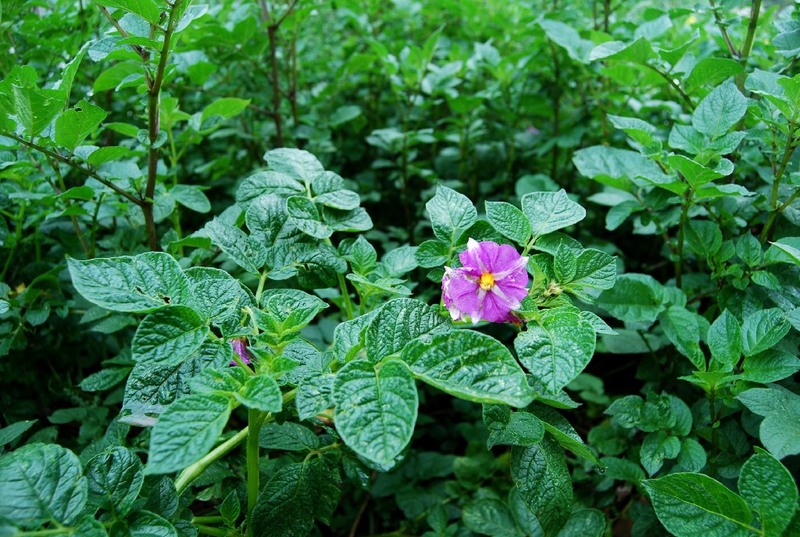 In addition, wild forms of potatoes and other solanums abound in the Andes where they seem to grow in every weed lot and hillside. So the conclusion seems obvious. Native South Americans, especially the ancestors of the Tiwanaku people on the high altiplano, must have domesticated this important tuber. Direct evidence has been fleeting and scarce, till now. A recent publication has provided missing data. Its lead author, Claudia Ursula Rumold, was part of a team of researchers from the University of California Santa Barbara who excavated and analyzed a place in the Ilave River Valley of Puno, Peru, south of Cusco. 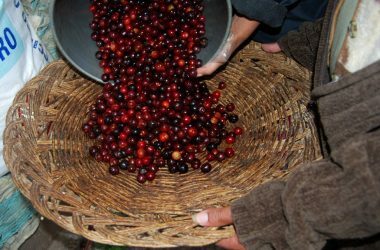 It covers the period when the people of the high altiplano, a plateau between the Eastern and Western ranges of the Andes mountains settled down and became farmers instead of just foragers in that place now called Jiskairumoko. Based on work for her Ph.D. at UC Santa Barbara, Rumold and second author Mark Aldenderfer, professor and established archeologist at the University of California, Merced, looked at the starches that remained on grinding stones at the site to see what people were eating. This was a brilliant strategy since potatoes leave few remains behind, beside microstarches on these stones, making it very difficult to find any evidence of their domestication. As a result, we now have proof that people processed and ate potatoes a long time ago, between 5400 and 4200 years before today. They ground them in this ancient village, now buried in a field on a river that drains the Western Andean range. 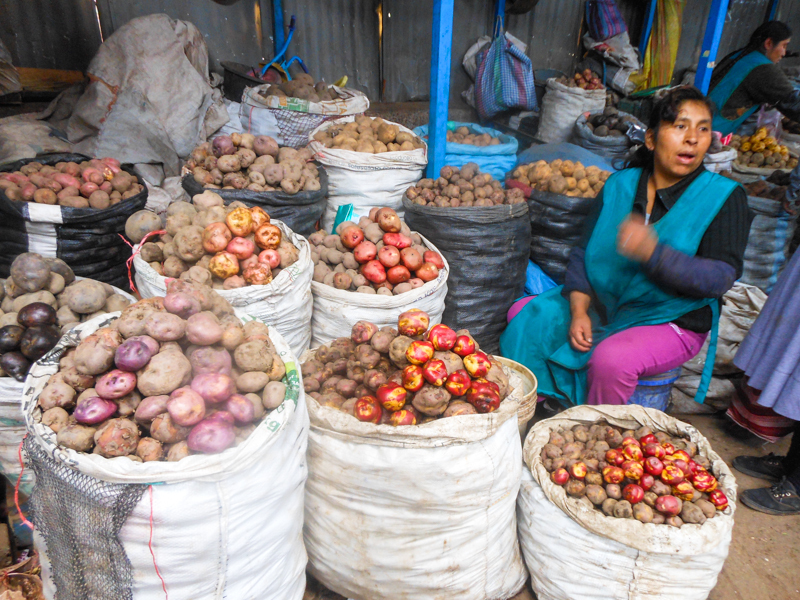 Potatoes in Puno these days are much larger and are usually not ground, they are boiled or baked mostly. Frying came with the Europeans and is mostly done in towns or cities. Wild potatoes, however, contain toxins. They would need some form of processing to get rid of the toxins and the authors think grinding was a means of preparing them to remove the bitters, the poisons, so the potatoes could be eaten. This is still not direct evidence of domestication. It does get us a long way towards answering the questions of where and when potatoes were domesticated, however. By the time people quit living at Jiskairumoko, potatoes had been domesticated. Archeologists will be looking much more closely at data from the altiplano to find more evidence of potatoes’ domestication since it is an important story and will help us learn more about the development of human civilization. In the meantime, whenever you eat a French fry, a baked potato, or have mashed potatoes, think of these early people living on a river that meandered down from the mountains. They were probably pulling up or digging up wild potatoes and grinding them, beginning what was to be the long and complex slog to getting these wondrous tubers on all our plates. We all owe them thanks. Previous ArticleWorld Aids DayNext ArticleHow can you get water out of your ears?